Sam Arnold is a native Oregonian and has been active in teaching and performing in the Portland music scene since he was a teenager. His first endeavor into music occurred when he picked up the trombone in middle school band, followed by piano, bass, and guitar; all of which he still plays to this day. 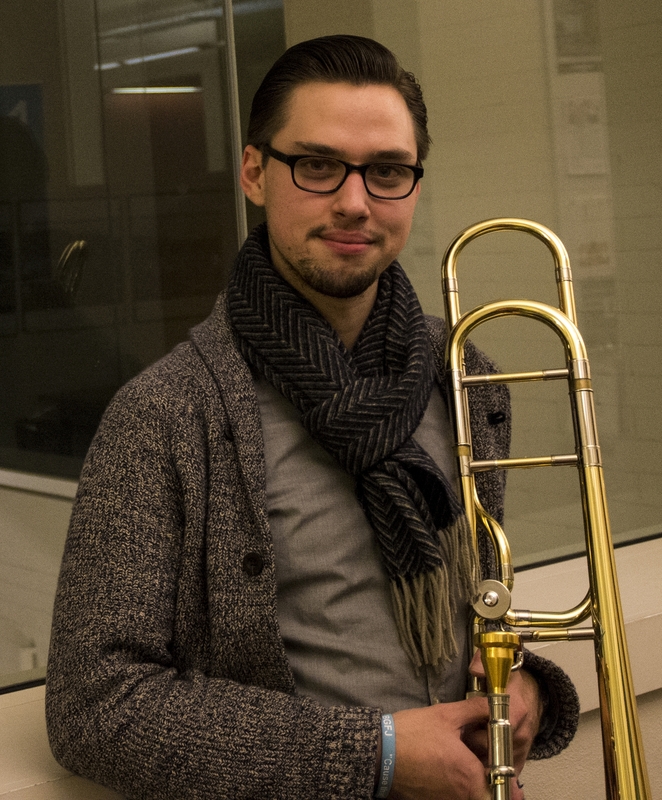 Sam studied classical trombone with a particular interest and emphasis on orchestral and new music at Portland State University where he received his Bachelor’s of Music in Music Education (Hons). Sam is a frequently requested performer and recording artist on trombone and bass for bands and artists such as Stelth Ulvang (of The Lumineers), Y La Bamba (including work on one of NPR's best 50 albums of 2016, Ojos Del Sol), Tiburones, and Aaron Nigel Smith. He has performed with the Portland Summerfest Opera, the Eugene Ballet/Orchestra Next, and various local orchestras. Sam is a founding member of the Cascadia Trombone Quartet, and an active clinician in the Portland Public School District. If you have a question for Sam, or wish to contact him, please fill out the form below. The message will be passed along to the Education Center and they will get back to you.